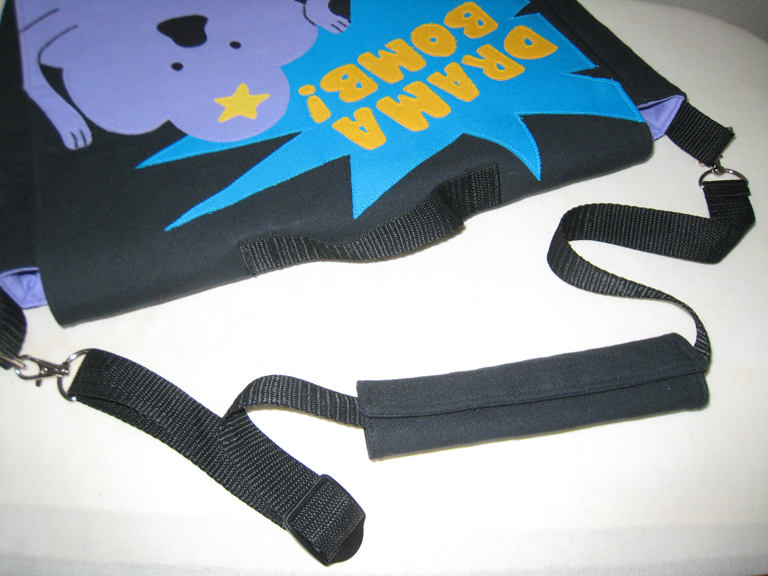 The strap is made from nylon webbing. It has a padded denim cover for the shoulder, attached with velcro. Do you sell these? I’m sorry I’ve never seen this website before. And if you do, how big is the inside?